Maintain viability with these techniques for proper seed storage! Healthy, viable seeds are the foundation for sustainable crop production, while poorly kept seeds can result in low germination and crop loss. Seed Storage of Horticultural Crops suggests appropriate strategies to help farmers and breeders store seeds of all kinds. This unique compendium gathers information from a wealth of scientific research and presents it in an easy-to-use format. Seed Storage of Horticultural Crops begins with a section on seed morphology and physiology. In subsequent sections, detailed information is provided for storage of the seeds of fruits, vegetables, and ornamental plants from tropical, subtropical, and temperate climates. This comprehensive volume is an essential reference for agronomists, students and educators, researchers, heritage seed collectors, and farmers. 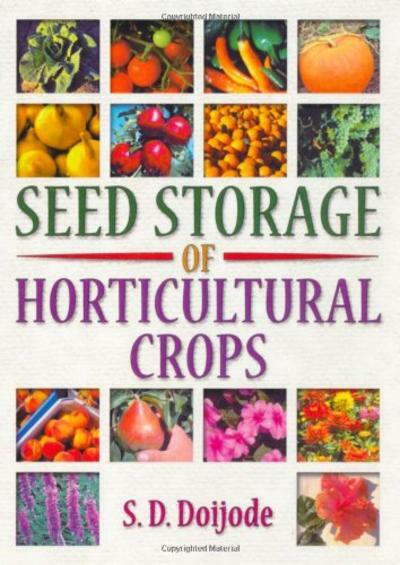 Richly illustrated with figures, tables, and photographs, Seed Storage of Horticultural Crops will help you obtain bountiful harvests, sustain growth, and preserve genetic diversity.